– Bomikhal Flyover Collapse: Orissa High Court grants bail to Panda Infra owner Pratap Panda. – Balangir: Over 70 labourers rescued from Kantabanji Railway Station while being trafficked to Hyderabad. – Odisha CM’s poll funding case: EC seeks time to file reply in Orissa High Court; next hearing on Oct 31. – Primary Teachers’ Association demands Central scheme salary; threatened to stage dharna. – Odisha CM announces mega irrigation system for Bijepur to appease the farming community. – AP: Senior YSR Congress leader Butta Renuka set to join Telugu Desam Party. 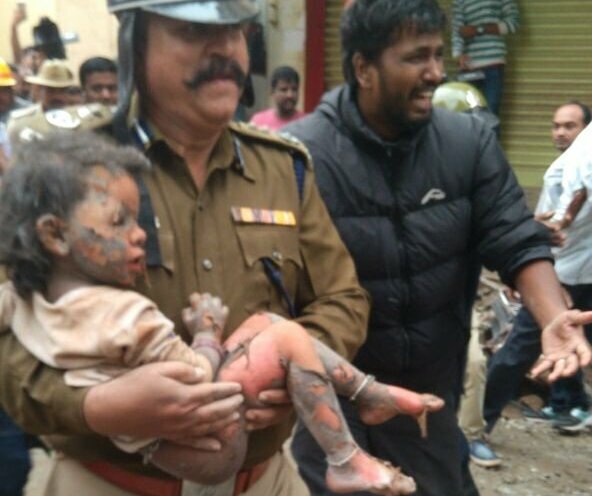 – Bengaluru house collapse: Death toll rises to 4; a girl child rescued from the site. – INS Kiltan commissioned into Indian Navy by Defence Minister Nirmala Sitharaman. – BJP’s Jan Raksha Yatra underway in Delhi. – Bengaluru house collapse: Death toll rises to 7 in Ejipura. – Tamil Nadu CM gives appointment order to four transgenders into police force. – Jharkhand: 1 security personnel injured in encounter with Maoists in Latehar.